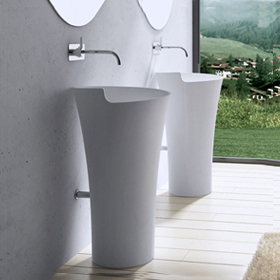 Our bathroom basins come in both Ceramic Basin & Stone Resin Basin based on the material of sink. 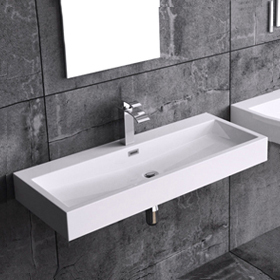 Choose from counter top basins, wall mounted basins, pedestal basins and semi recessed basins to create a bathroom or cloakroom that is personal to you. The ceramic basin is the most widely available type, they are moulded in china clay, fired to harden then glazed and baked again to harden the finish on the surface. This gives a really good glossy finish. 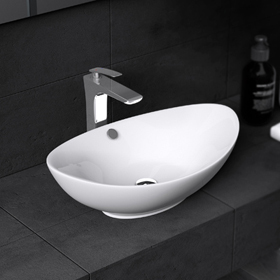 However, due to the manufacturing process a ceramic basin can warp and appear distorted. These effects are considered part of the process and would not normally be regarded as a defect. Hence, ceramic products are classic into grade A, B, C in order to define its quanlity. 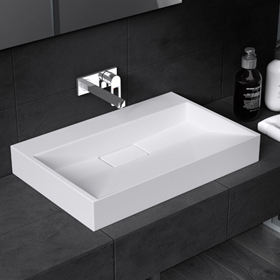 We can ensure you that our ceramic basins are all at grade A quality. The stone resin basins are made from real stones that are crushed up and then bound by polymer resin and natural minerals. It produces a very finely detailed basin, as the moulding process can be more accurately controlled than that of the ceramic basin. Resin stone can be moulded to produce a much squarer profile and sharper edges, making it ideal for the production of modern styles and minimalist shapes. Moreover, the resin stone basins are nonporous with superior resistance against mold, bacteria, stains, dirt, heat, abrasions, chemicals, flaking and breakage. 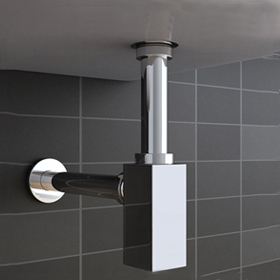 A wall mount sink is attached to a wall, a supportive structure is not required. 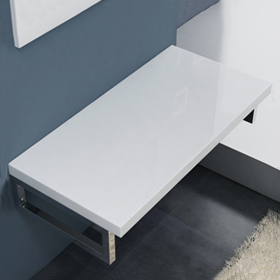 This is useful when space beneath a sink is limited for a vanity or a pedestal sink. Also known as vessel sink. 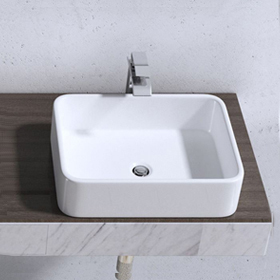 which features a basin that rests on top of a counter. 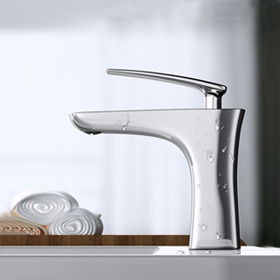 Designed to show off the sink's material or a striking design. Also called Drop In basins which is a type of sink installation where the bottom portion of the sink is hidden beneath a counter, while the upper portion is exposed. This is a stylish option that adds a modern look to a bathroom decor. Also called a freestanding sink. 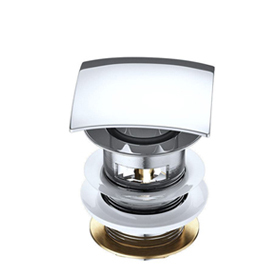 Bathroom pedestal sinks are designed to gracefully hide plumbing pipes. Since they occupy less space than a vanity sink, pedestal sinks are perfect for small baths and powder rooms. 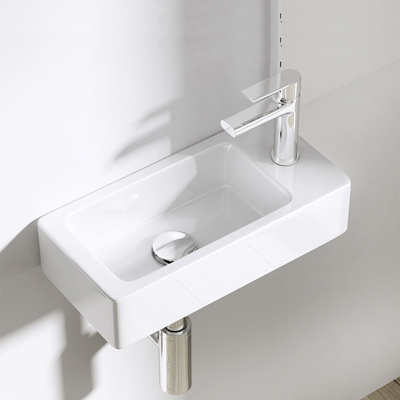 Cloakroom Basins We make this selection of bathroom sinks which are designed to be as functional as possible while taking up as little room as possible, making them ideal for small cloakrooms and small bathrooms while not compromising on style or form. 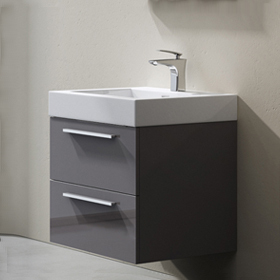 A vanity unit is an item of bathroom furniture that integrates a basin with cupboards or drawers underneath. 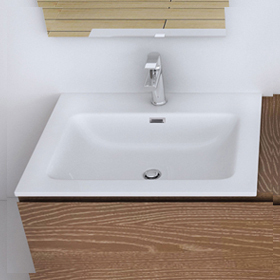 Vanity units provide extra storage space within your bathroom. As well as being functional, vanity units add a real touch of style, from traditional and classic looks to ultra-modern and minimalist.